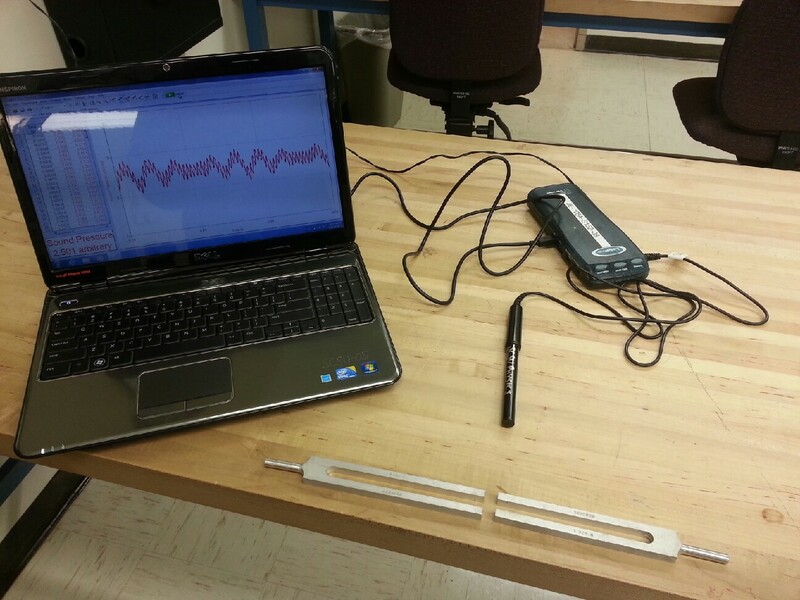 Physics of Music lab with two tuning forks of close frequencies. The tuning forks at each table should be close but not identical. Laptops will be taken out by the instructor. Item modified on 2017-09-20 12:05:29 by preisingc1.